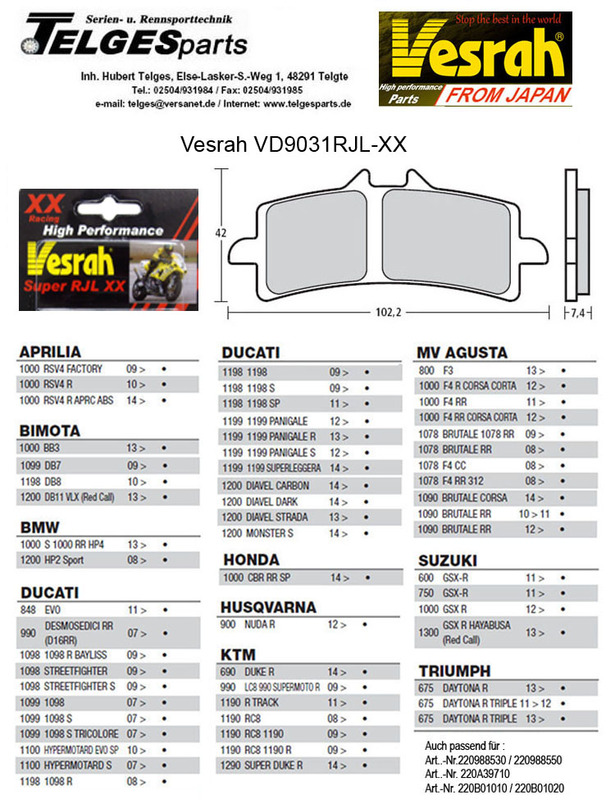 For many new models Aprilia, Bimota, BMW, Ducati, Honda, Husqvarna, KTM, MV Agusta, Suzuki, Triumph etc. 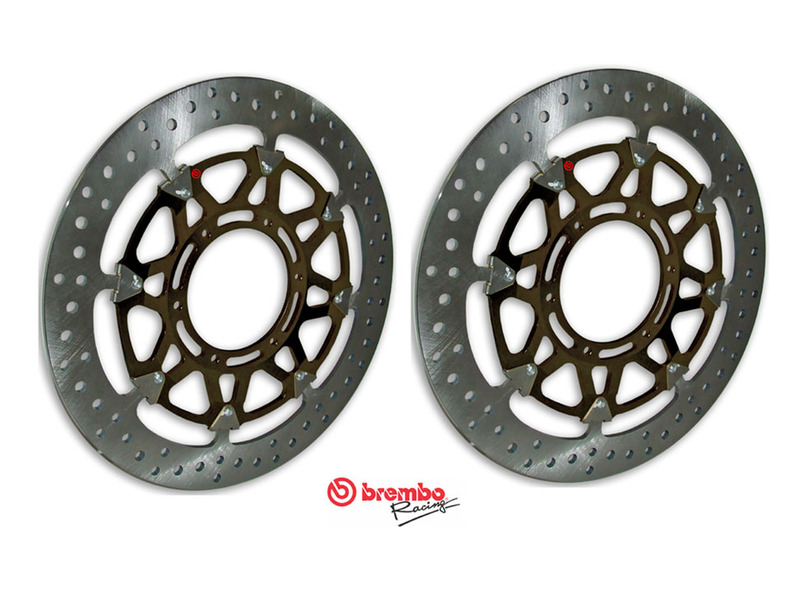 (like Brembo-no. 07BB3793 / M497Z04). See list! 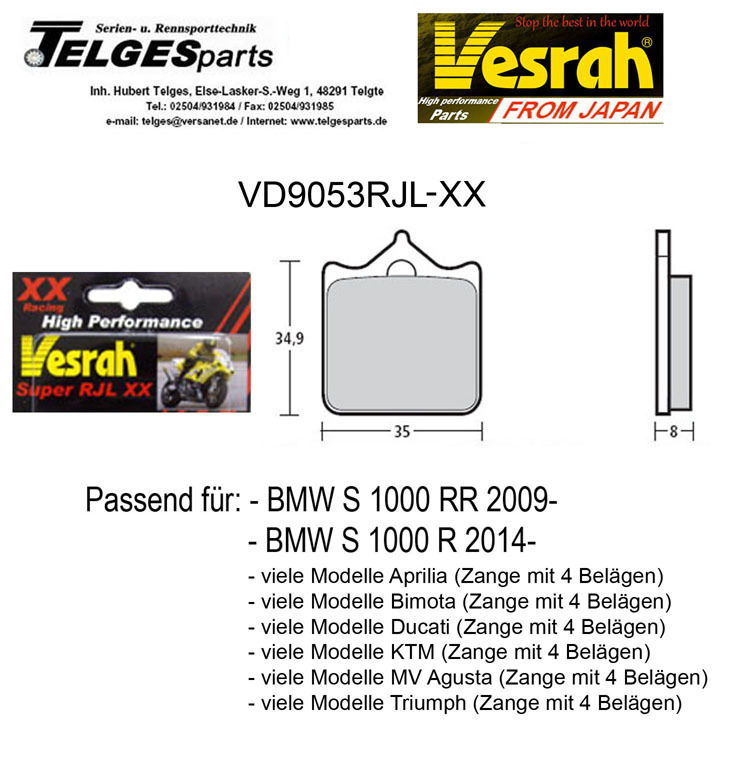 Vesrah, a Japanese company was founded 1950 and is OEM supplier for may bike-producers in Japan. 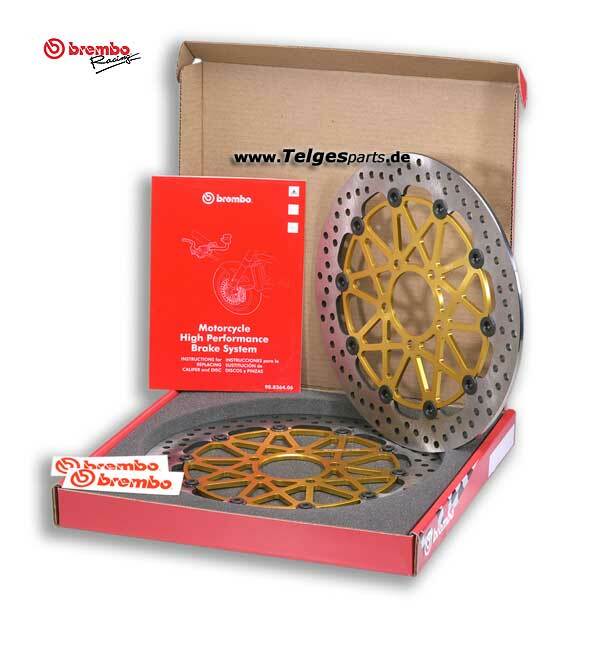 The products have a very high quality. 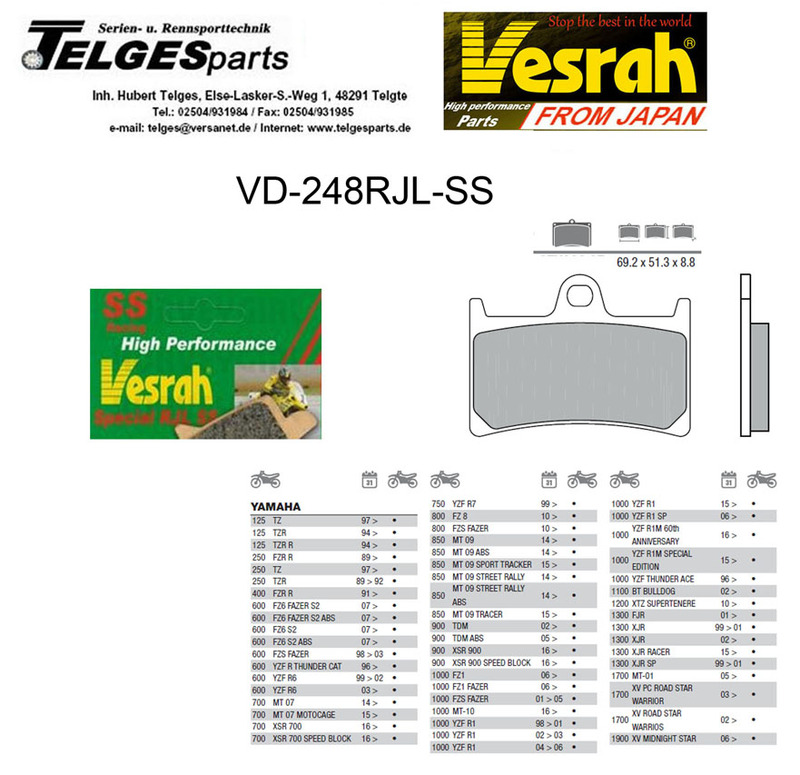 Vesrah developed during the last years several special Sinter brake pads for racing (and street) like the compounds JL / RJL / RJLXX / RJLSS especially for steel discs. For example the driver Mark Junge / WERA -Suzuki won with Vesrah Sinterpads RJLXX several times the US-Endurance Championship. Especially for the professional and semi-professional drivers on the racetrack.